There are shockingly few foods that all nutrition experts can agree on. Some think soy is perfectly healthy; others think it's poison. Some think fruit belongs in a healthy diet; others think it's so sugary you should never touch it. Some think dairy is the devil; others think Greek yogurt is the nectar of the gods. I could go on for days. All this conflicting information can make you, as a consumer, so frustrated that you just want to throw your hands up and say, "Is anything really healthy?" That's exactly the question we were inspired to answer. So we sent out an email to 17 nutritionists and doctors from all different backgrounds and asked them to name the foods they consider healthiest. Then we cross-referenced their feedback and put together this master list. Let's put an end to the guessing once and for all. Keep scrolling to discover the foods that nutritionists can agree on. As far as we can tell, there is not a single nutritionist who can argue with the power of blueberries. "There are at least 15 different types of phytonutrients found in blueberries and all of them are potent antioxidants that protect virtually every system in the body," says Michelle Babb, registered dietitian and author of Anti-Inflammatory Eating for a Happy, Healthy Brain. "Antioxidants guard against damage to cells, tissues, and muscles and are important for cardiovascular health, brain health, and exercise recovery." Nutritionist Dana James adds that blueberries "provide healthy, fiber-rich carbs," which aid with digestion and weight management. They are also loaded with "a ton of vitamins and minerals, including iron, magnesium, zinc, calcium, potassium, and vitamins A, C, and K," says certified nutrition coach Candice Seti of The Weight Loss Therapist. "With all of these ingredients, they have numerous health values including helping you build and maintain strong bones and helping fight heart disease and cancer." Dark, leafy greens like spinach and kale are another category of food that no nutritionist can fault. "Leafy greens are low-calorie and nutrient-dense," explains Shilpa Ravella, MD, a gastroenterologist and nutrition specialist at Columbia University Medical Center. Some of the powerful nutrients that leafy greens contain include "vitamins A, C, and K; folate; potassium; magnesium; calcium; iron; lutein; and fiber," says Dina Garcia, dietitian-nutritionist, mindful eating coach, and founder of Vida Nutrition. Kale, in particular, is beloved by nutritionists. "Kale contains high levels of antioxidants, which help prevent many diseases, like cancer and heart disease," says certified nutrition specialist Scott Schreiber, MD. "Kale is also great for the heart by lowering cholesterol. It promotes liver and digestive health, and it is a great detox food." Dietitians of all backgrounds are quick to list heart-healthy avocado as one of the world's healthiest foods. In fact, out of the 17 nutritionists I spoke with, more than half of them named avocado as one of the top three healthiest foods in the world. "I have nicknamed avocados 'God's butter!'" says Daryl Gioffre, DC, celebrity nutritionist and founder of the Alkamind cleanse. "It is literally a perfect food. Avocados are rich in vitamins K, C, B5, and B6, as well as key minerals. In fact, they contain more potassium than bananas without all of the sugar. They're also surprisingly high in fiber, so they help maintain digestive health." Better yet, the monosaturated fats in avocados act as "cell membrane protectors," James says. "When your cells are protected from free radical damage, they function better. This means prettier skin, a faster brain, and more energy!" All of that goes without mentioning that avocados "contain 42 milligrams of magnesium per a cup, a vital nutrient that so many of us are deficient in," adds Carolyn Dean, MD, ND, Medical Advisory Board member of the Nutritional Magnesium Association. When picking out avocados, make sure to "select blackish-green, pebbly-skin Hass avocados, which are higher in healthy fats and lower in carbs than the smooth, bright green Florida ones," says Colette Heimowitz, the vice president of nutrition and education at Atkins Nutritionals Inc.
You can work avocados into your diet in so many different ways. "Slather on toast or mash up a quick batch of guacamole," offers registered dietitian Dana White. "I am also a huge fan of using avocados in unique ways such as smoothies, salsa, and ice cream." Nutritionists agree that beans are "a powerhouse of nutrition." 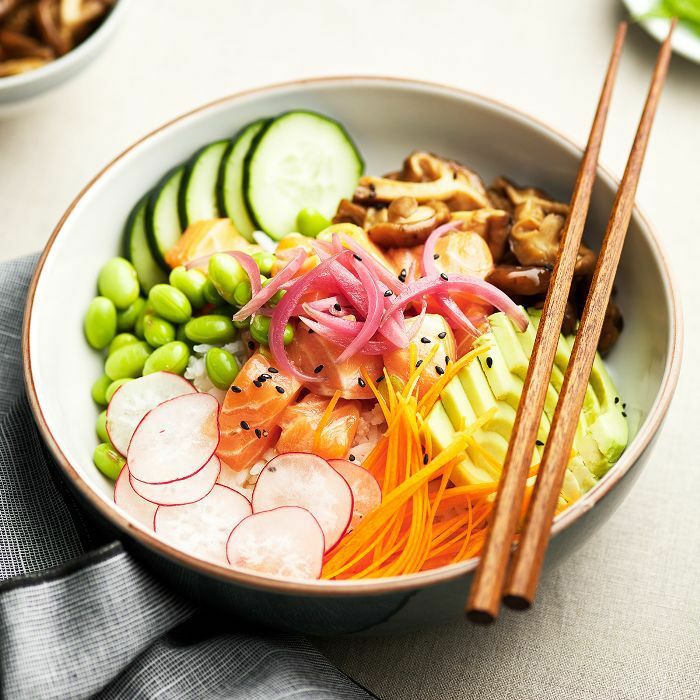 According to Vandana Sheth, a registered dietitian, "They are an excellent source of plant-based protein, high in fiber, and can help with lowering cholesterol levels, blood sugar management, as well as weight management." As Babb says, beans are "also great for keeping your digestive tract running smoothly." "All beans are good," Garcia adds. "They are rich in iron, magnesium, potassium, and zinc." Garlic is another food that all nutrition experts can agree on. "Garlic is truly one of nature's superfoods," says Schreiber. "It contains allicin, a phytochemical that has many medicinal properties. Garlic is great for fighting off viruses, bad bacteria, and fungi. In fact, it has been proven to decrease the length of the common cold." Garlic is also shown to help reduce cholesterol and blood pressure. Plus, it "contains high levels of vitamins and minerals without adding a ton of calories," Schreiber says. Some of these nutrients include "manganese, vitamin B6, and vitamin C," adds Gisela Bouvier, a registered dietitian. The best way to consume garlic is when it's fresh, crushed, and not overcooked. This is because "allicin is less impactful when cooked for more than 10 minutes," says Christopher Calapai, DO. You'll be hard-pressed to find a nutritionist who has a problem with lemons. "This juicy ball of sunshine contains a long list of super-important vitamins and minerals, many of which contribute to the health of our digestive and immune systems and can do quite a number on the health of our hair and skin," says Courtney Baron, a Thumbtack health and wellness instructor. "The vitamin C in lemons helps produce collagen and protects the skin from free radicals, which could lead to cancer." The nutrients in lemons also help to "increase good cholesterol levels" and reduce inflammation, adds Calapai. Baron and Calapai both recommend sipping on lemon water throughout the day, which will also significantly improve digestion. You can also use lemon juice on salads to replace calorie and preservative-packed dressings. "This small edible seed has been added to the superfood list, and there are many ways it is super!" Seti says. 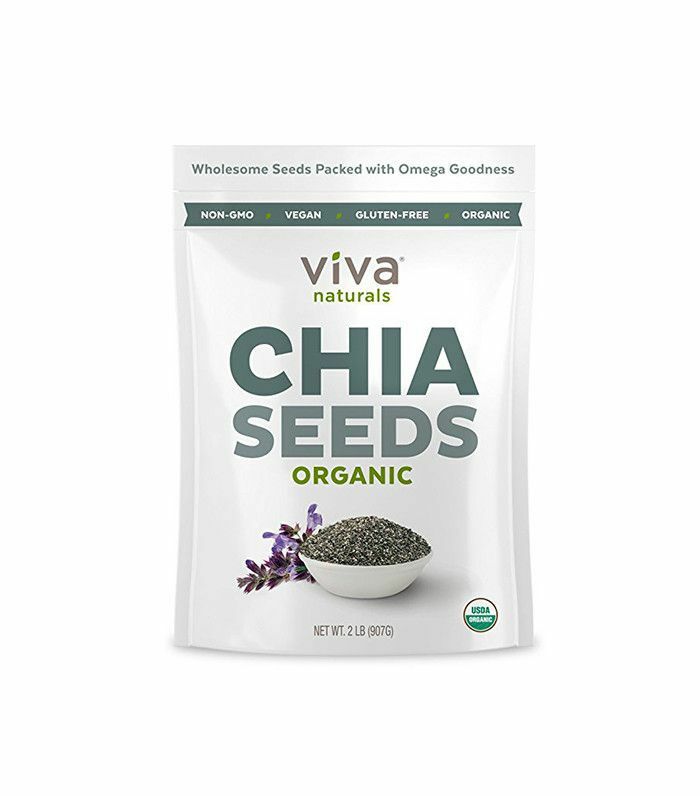 "For starters, chia seeds are loaded with omega-3s and antioxidants, which both help promote optimum health. With 40% of chia seeds being fiber, they are one of the best fiber sources out there and help you feel full while maintaining your digestive health. Additionally, they can be very valuable to bone health, as they are high in both calcium and magnesium." Try sprinkling chia seeds on your cereal, blending them into a smoothie, or adding them into a stir-fry. Unexpected but true: All nutritionists approve of sprouts. "With 10 to 14 times the nutrition of the full-grown vegetable, sprouts are loaded with sulforaphane, a biochemical nutrient that increases anti-cancer enzymes in the body," explains health coach and certified nutritionist Kelly LeVeque. "Sprouts are what I consider a 'living food,' … the most powerful and nutritious foods on the planet," Gioffre says. Better yet, you can grow them yourself so you always have them on hand for salads and wraps. "They are super-easy to grow, require very little space, and no sunlight," Gioffre says. "Alfalfa [sprouts] are perhaps the easiest to grow and very tasty—some of my other favorites include broccoli, mung, pea, clover, fenugreek, and radish." Certified health coach Nicole Granato speaks for nutritionists around the world when she recommends quinoa as an amazing plant-based protein. What makes quinoa special is that it is "a complete protein," explains naturopathic doctor Katherine Dale. This means that quinoa contains the perfect proportion of all nine essential amino acids needed for optimum nutrition. "It is a high source of naturally gluten-free protein and has a satisfying taste and texture," Dale continues. In addition, quinoa contains important nutrients like magnesium, fiber, manganese, riboflavin, and B vitamins, "which help the body convert food into energy," Bouvier says. Nutritionists recommend replacing rice with quinoa when you cook. The last food that all nutritionists love is wild-caught salmon (not to be confused with farm-raised). "Wild salmon is rich in omega-3 fatty acids and much lower in the toxins like PCBs than farmed salmon," explains Barry Sears, creator of The Zone Diet and author of The Zone series. Omega-3s are important, as they "reduce the risk of heart disease and help boost good cholesterol," Bouvier says. "Omega-3s have also been linked to helping reduce the risks for depression, cancer, and help overall cognitive function." Not to mention wild salmon is "loaded with amino acids and B vitamins," LeVeque says. "This is the perfect protein for glowing skin, toned muscles, and vibrant energy." Want more trustworthy diet advice? Don't miss 10 things nutritionists eat (that you don't).